2534 Kendall Avenue Madison, WI - SOLD! 2534 Kendall Avenue recieved a full price offer 12 days after stepping onto the market! This home is located in the University Heights Neighborhoood, and is full of new updates, but still maintains its historic charm. Congratulations to the sellers of this wonderful home, and good luck with your relocation! The combination of pricing it right and staging it properly is what made this such a success story. Personal items were packed up, furniture was moved around to create a welcoming feel and some furniture pieces were packed up and moved to storage during the showing process. The Sellers did an amazing job making little repairs and touching up paint around the house as well as replacing family photos with simple art and design pieces. The marketing was important because the Sellers had made significant renovations to the home and had invested money and energy to update it during their time in the home. Making sure the Buyers that toured the home understood all the details and had access to accurate information helped motivate and prove the value in the home. The result? SOLD in 12 Days, Full Price Offer! This is what the amazing teamwork of Alvarado Real Estate Group can do for you! Contact Sara Alvarado at 608.438.5005, sara@thealvaradogroup.com or Julie Campbell at 608.577.3767, Julie@TheAlvaradoGroup.com today for information about listing your home! DescriptionShowings Begin 4/25. 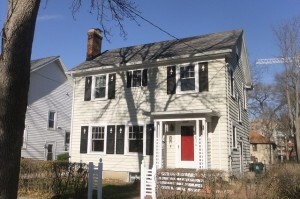 Updated and charming home right in the center of walking & biking in the Arboretum or Wingra, with shopping & dining on Monroe St. Gorgeous hard wood floors and newer windows throughout home. Cute entryway leads to front living room & sunny front family room. Fully remodeled (2015) open kitchen & dining with stainless steel appliances and lots of storage. Beautifully updated full bath on second floor with 3 generous sized bedrooms help balance old world charm with a modern feel. Screened porch off the kitchen leads into adorable fenced backyard with an over-sized one car garage for storage. DescriptionSHOWINGS START 4/25/19. Amazing and light-filled mid-century styled home in the Glen Oak Hills neighborhood! Set back from the street 82', once inside this 3-bedroom, 2 bath ranch home you are first greeted with a 26' window wall that draws you out to the spacious and secluded backyard. Enjoy the view of the mature landscaping from the deck or the quiet refuge of the vaulted ceiling living room. Globe lighting, hardwood flooring, and solid wood cabinetry are just a few of the great features of this home.